Kids thrive when they have sort of order to their day. That is where your summer routine for kids comes into play! In order remain “the fun mom” and still compose some sort of sanity, you have to find a balance of fun and order. 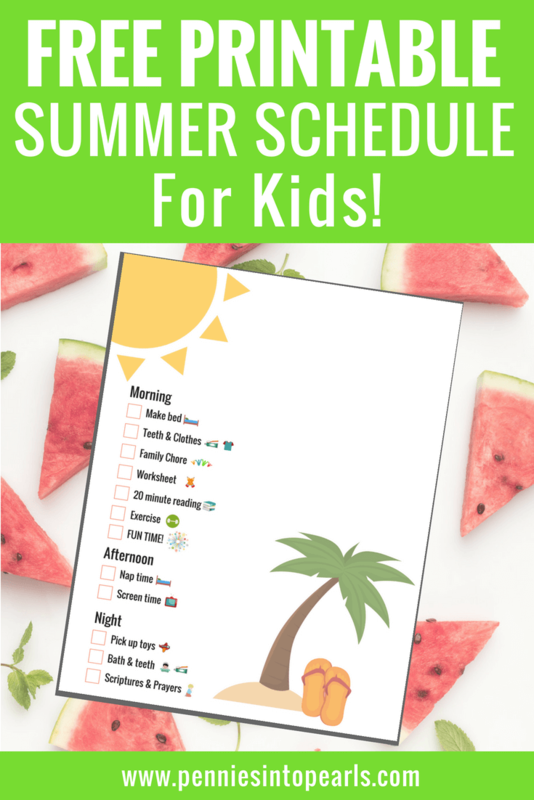 Use this FREE Summer Schedule for Kids Printable to get your family motivated to get the important chores out of the way to make room for fun summer activities. It’s that wonderful time of the year when you get that almost natural call of the wild instinct to start organizing your home. Almost instantly as the New Year arrives, you’re dramatically made aware that it is a real possibility of you becoming the star on the next episode of Hoarders! Whew! Let’s take a deep breath. Let’s not let the stress of the situation get the best of us. The key to having a productive day is sleep! Think about it. You start and end each day with sleep. Our brain physically cannot live without sleep! It is just as important to our health as food and water. It turns out you can get so much more done in your day when you sleep longer at night! Here are some tips on how to have a more productive day by sleeping more. Your family has been cooped up all winter long. The weather is finally starting to warm up a bit and you are ready to open up those windows and let in the fresh air! There is dust and grime everywhere. Keeping a family contained for months will do that to your home. Looks like it’s time to start spring cleaning! Spring Cleaning for $5 or Less! Are you ready for spring cleaning? Don’t worry, you got this! Try focusing on one room at a time to make the entire process a little easier. Each week tackle two rooms in your house, dedicating one day for each room. Start at the top and work your way down. Crown molding, walls, furniture, and then on to the floors. But before you get started you need to know which cleaning products to use, right? Be careful when choosing because all those expensive products can add up to a hefty spring cleaning cost. I have always wanted to be one of those people who have a specific spot for every little trinket that finds its way into my home. Those people know exactly how to organize everything and anything! Are you one of those people? Can we please be friends? I need you to teach me your ways! In the mean time, I am slowly conquering one small corner of my house at a time. With Dollar Tree near by, there is no excuse! 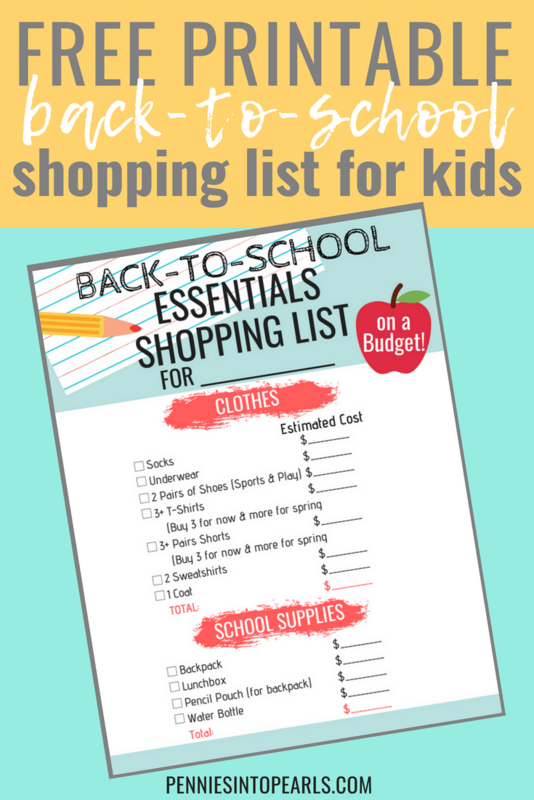 They have SO many options when it comes to affordable organization supplies. Having a routine and plan is key when it comes to getting things done and being productive. I’m not just talking to the business world out there. Moms, I’m talking to you! I know that the mere mention of the word “plan” can send some people into an instant panic. If that person is you, take a minute and a deep breath, this is going to be easy! Are you someone who feels like you have been busy all day but don’t seem to get anything done? These five tips are going to help you organize your time in a way to have a much more productive day! All these tips are tried and tested! These are all things I do in my daily and weekly routine that I have found to help eliminate stress and help to get things done!